Depending on your screen resolution and individual preferences, you may want to make certain elements of the music organizer bigger or smaller. This article will help you with such adjustments. Here, you can change size of all elements in the system (including icons and other graphical things) or adjust size only of text-based elements (menus, messages, etc.). This has effect on all programs (with a few exceptions). There are 3 available sizes: big icons, medium icons and small icons. Click on the corresponding entry to select the size. Changes are applied immediately. 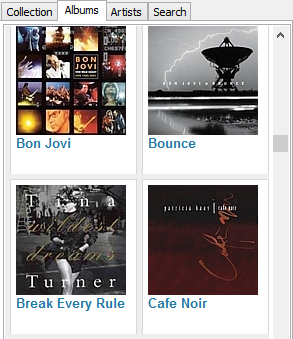 The settings described in the "Menus and texts" section above do not apply to the areas where Musicnizer shows information about albums and artists: covers, photos, album reviews, discographies, etc. Elements in these areas are controlled by the active user interface script (theme). By default, the Breeze user interface is suggested. In its settings, you can adjust font size and text density for pages of albums and artists. Press F10 (or select "Tools" - "Options"), then switch to the "User interface" tab. Click the "Settings" button below the list of the available interfaces. This opens the "User interface settings" window. Line spacing. This defines how much free space should be left between two lines of text. The default value is 2. By reducing it you can make text (like album reviews and biographies of artists) denser. As a result, more lines of text will fit the visible area of your screen, but generally more free space looks nicer. Basic font size. There are many different elements of text in Musicnizer: various headers, body text, list headers, discography items, etc. 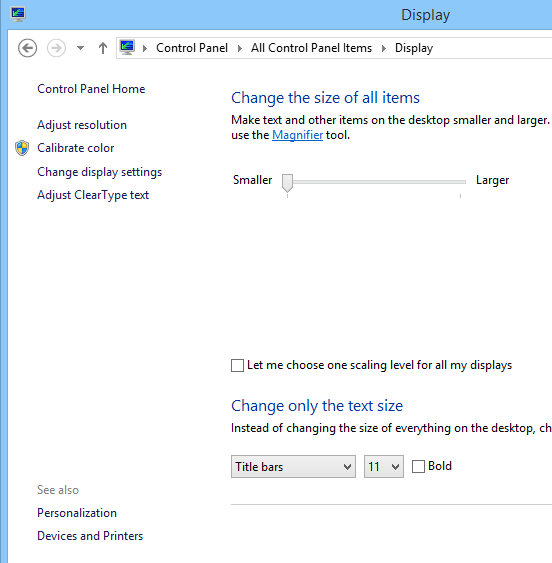 The basic font size setting allows changing them all by changing a single value. Increase this value if you'd like to have bigger letters, or reduce it to make all fonts smaller. It has effect both on albums and on artists. 80 is the default value (in pixels). You can increase it to make covers bigger (proportionally), or increase the value to make covers and photos smaller. 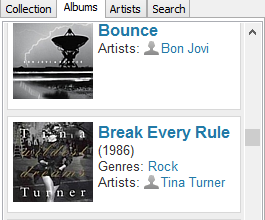 By increasing the values you can make covers and photos in the cover list mode bigger. Here you can set both width and height. Make sure that your dimensions of "cover cell" is always bigger than dimensions of covers and photos. A "cover cell" is the place where a cover or a photo together with the corresponding title / name are put into. 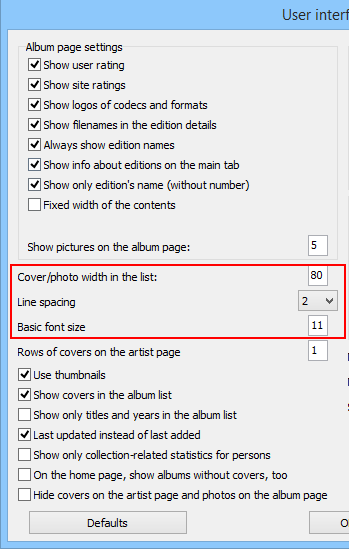 If the "Cut covers..." / "Cut photos..." boxes are checked, Musicnizer will resize images proportionally, cutting off some parts that do not fit the dimensions you provided. If the boxes are empty, Musicnizer will resize images without cutting, which does not guarantee keeping their proportions.